We’ve been a bit remiss in blogging, though there’s been plenty of action on our Facebook page. Here, I’ll just share some photos from the last month. Naomi came along with Sora, the better to see babies. She is wearing her colorful “Badjao pants” in an effort to fit in. The results of the fire several weeks ago can still be seen near in the blacked sticks protruding from the water – the remains of bamboo houses that burned to the waterline. 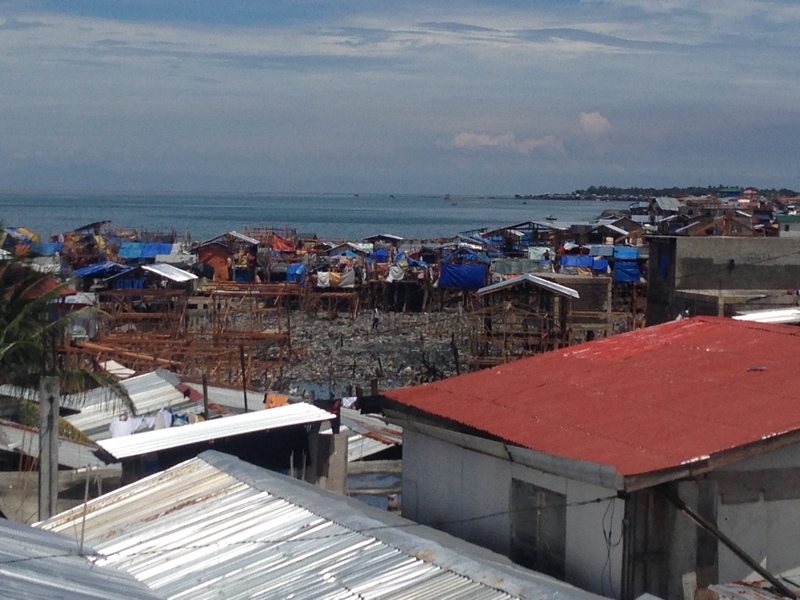 This photo was taken from the roof of the new medical clinic building where the prenatal outreach is also held. Children playing on the street in Isla Verde. The birthing center where I volunteer as a midwife has several outreaches intended to make it easier for women who would otherwise have difficulty accessing care to get regular prenatal check-ups right in their neighborhood. The one I have attended most frequently is in Isla Verde, a slum neighborhood with a large Muslim population and a Badjao settlement. 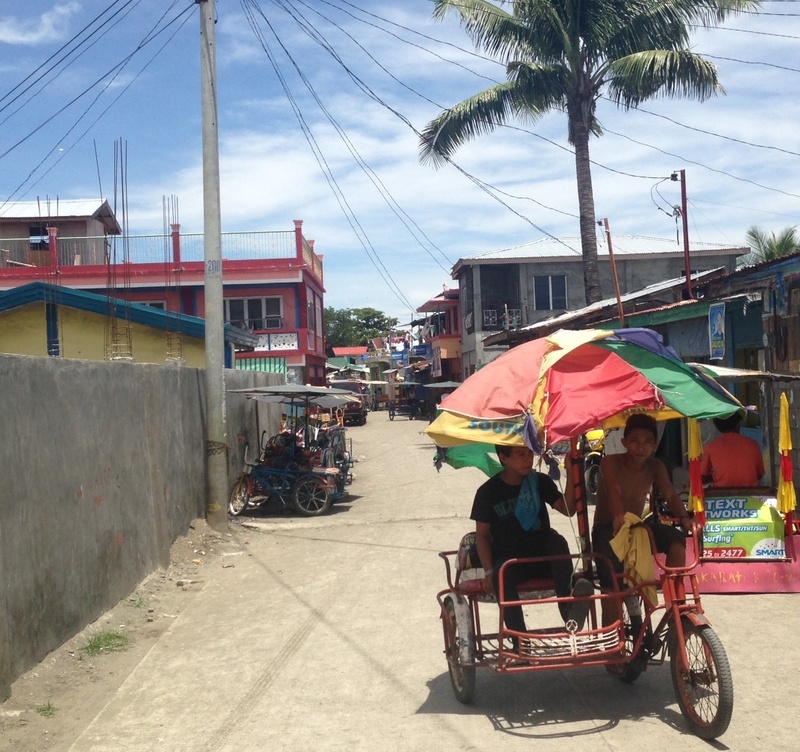 The streets are narrow and crowded with people, children playing, tricycabs and bicycle taxis. Our prenatal team today after we’d finished seeing patients. 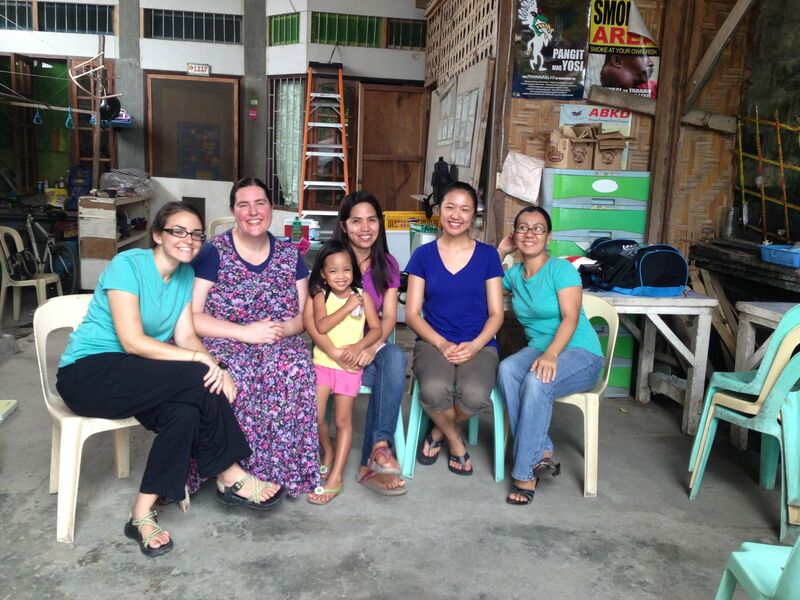 From left to right, Brittany (a second-year midwifery student), me, Charlyn (holding her daughter), Sharon (a nurse and summer intern at the birth center) and Ate Ana, one of our Filipina supervisors at the birth center. 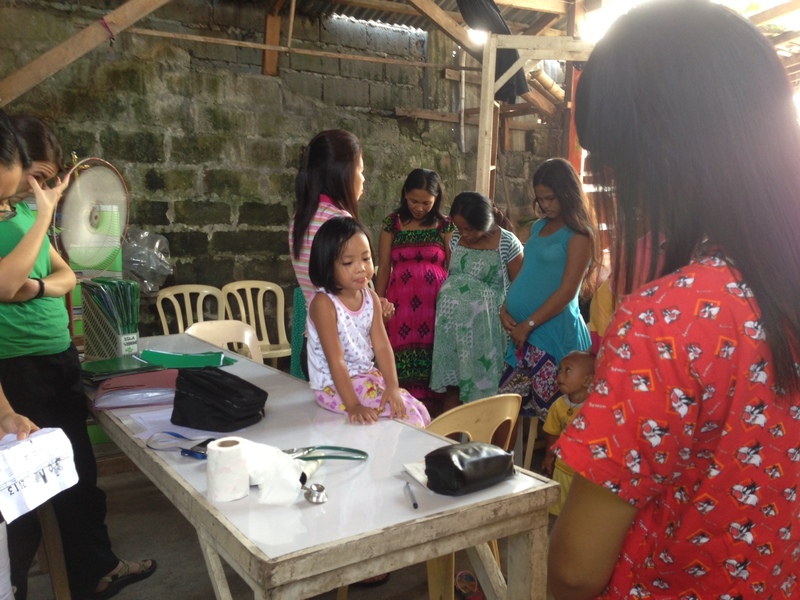 We do our prenatal check-ups in a somewhat makeshift clinic in the covered “carport” in front of the home of Charlyn, a Filipina whose family moved to Isla Verde to minister to the people there. 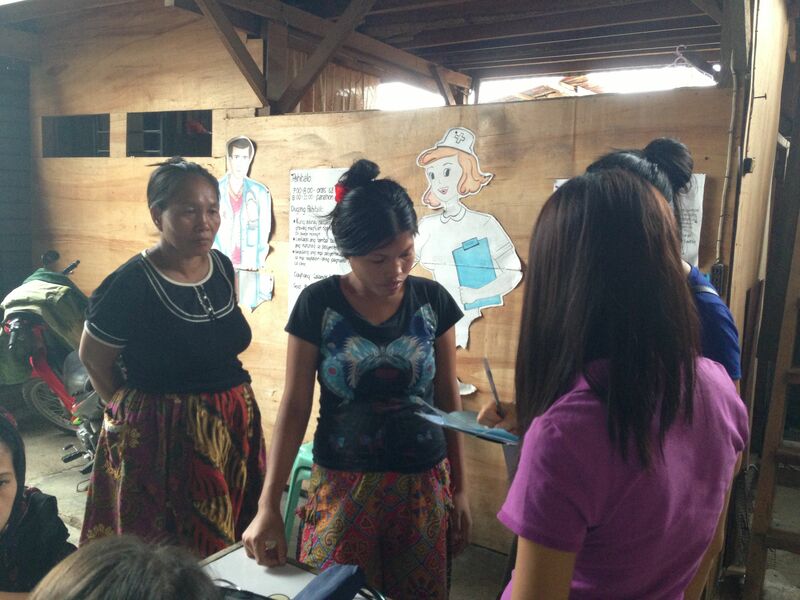 Britanny and Ate Ana interviewing (medical history) first-time prenatal patients. We come to Isla Verde every two weeks and usually have between six and twelve prenatal patients show up each time, almost always including several new patients. 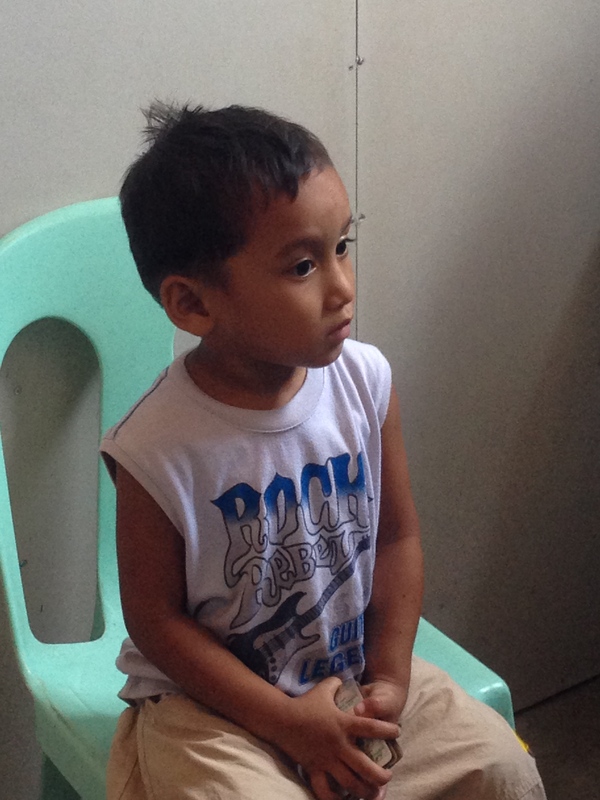 Most of the Badjao patients who give birth with us get their prenatal care at our Isla Verde outreach as they cannot afford to pay for public transportation to come to the birth center for checkups. These were not our patients but they came in while we were there are and I had to take a picture. 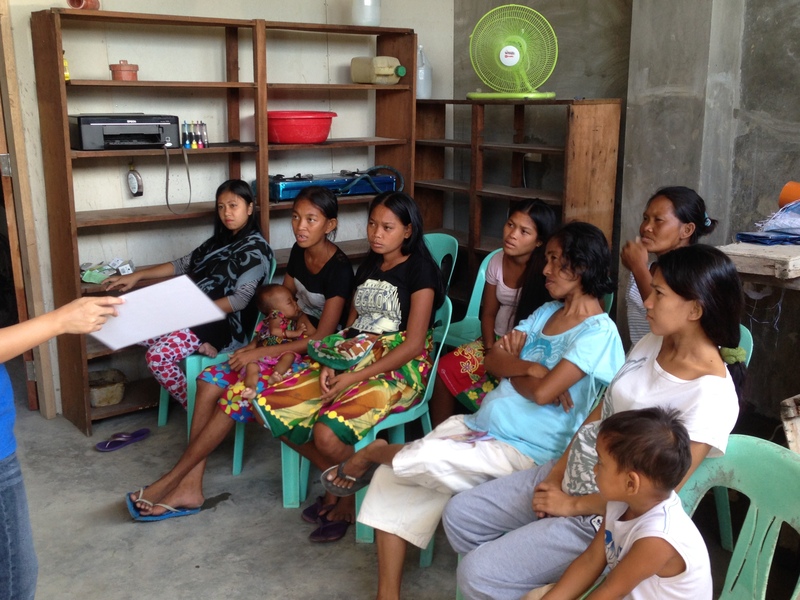 Our prenatal clinic is only a very small part of Charlyn’s ministry; she hosts other free health care clinics and regularly organizes medical teams to visit isolated mountain villages in rural areas as well. You can see more pictures of the work she’s doing on her NGO’s Facebook page. Isla Verde is right on the edge of the ocean. 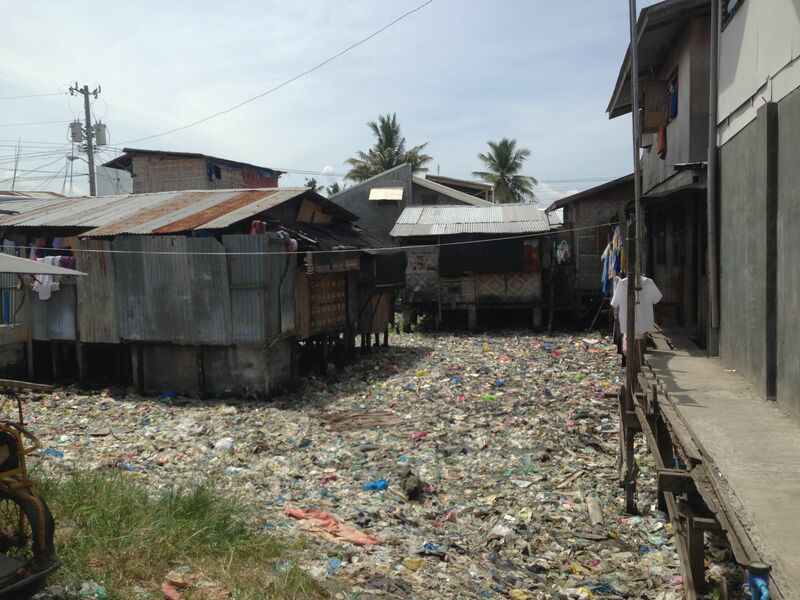 Around the corner from Charlyn’s home are shanties on stilts above the sea water, which is a mass of trash and unidentifiable sludge. Garbage floating on shallow sea water. All the houses are on stilts. 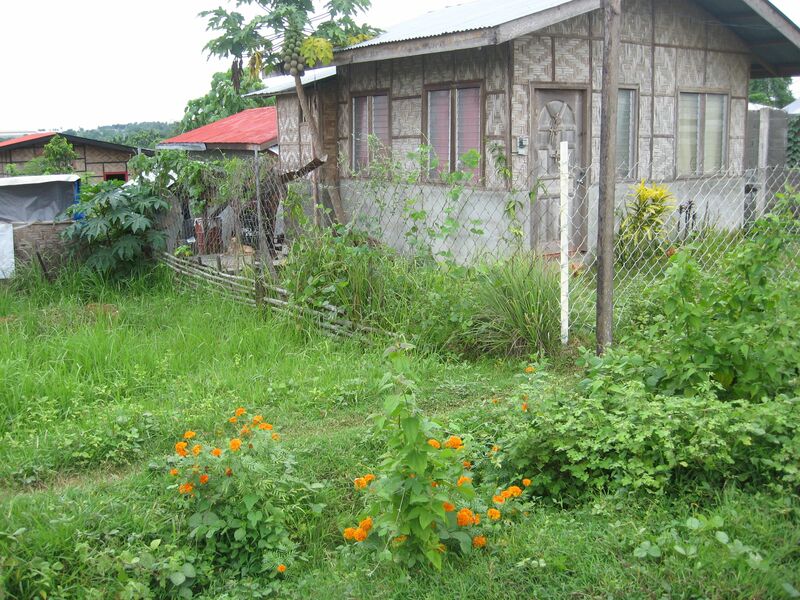 The Badjao village is built out over the water with narrow wooden walkways from house to house. 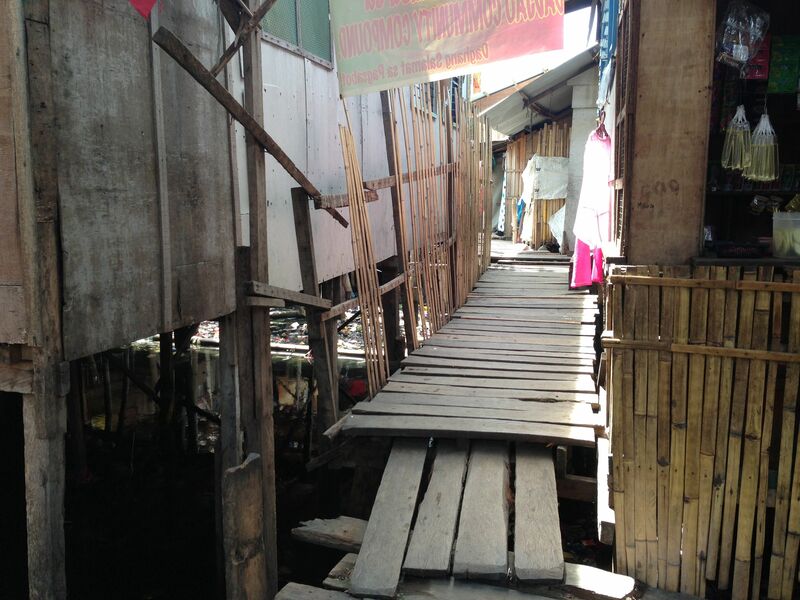 Apparently the “Badjao bridges” have been improved considerably in recent years… they still felt quite precarious to me! I showed these boys the pictures on my phone screen as I took them and they delighted in making silly faces and then laughing at them. 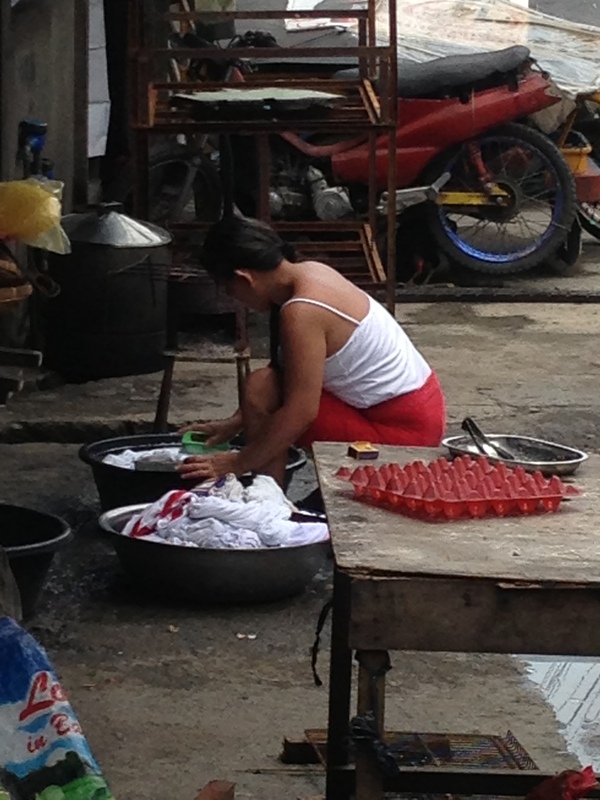 Handwashing laundry at the side of the road. When she walked into the clinic, ready to push out her baby, I recognized her face. I had done her last prenatal two weeks ago, at an outreach clinic held in a church building in one of the poorest slums in the city. Her face and body bear the marks of severe poverty. When I looked at her, I guessed her age to be early to mid-forties. She just turned thirty. Her four babies have all been born at our clinic. 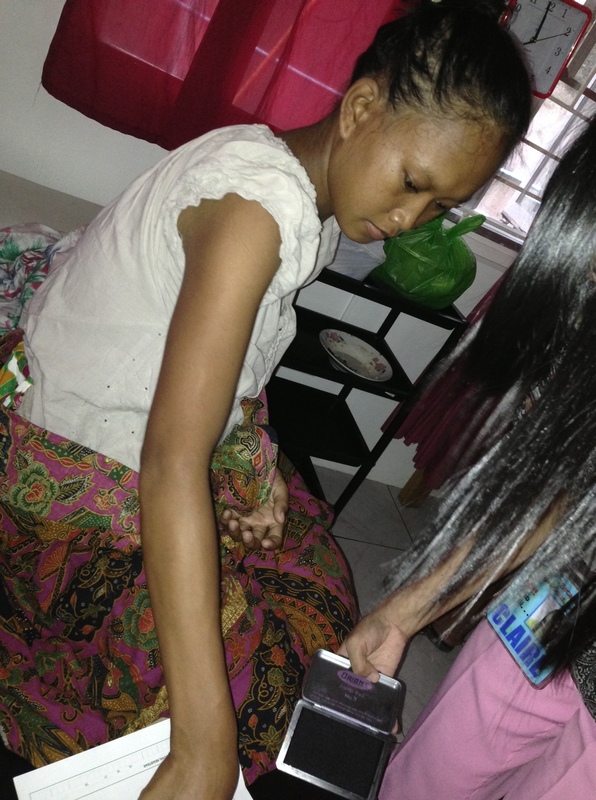 Her husband is a trysikad driver making 6-8 pesos per passenger; paying the bill at even the public, government subsidized hospital would be far beyond their means. 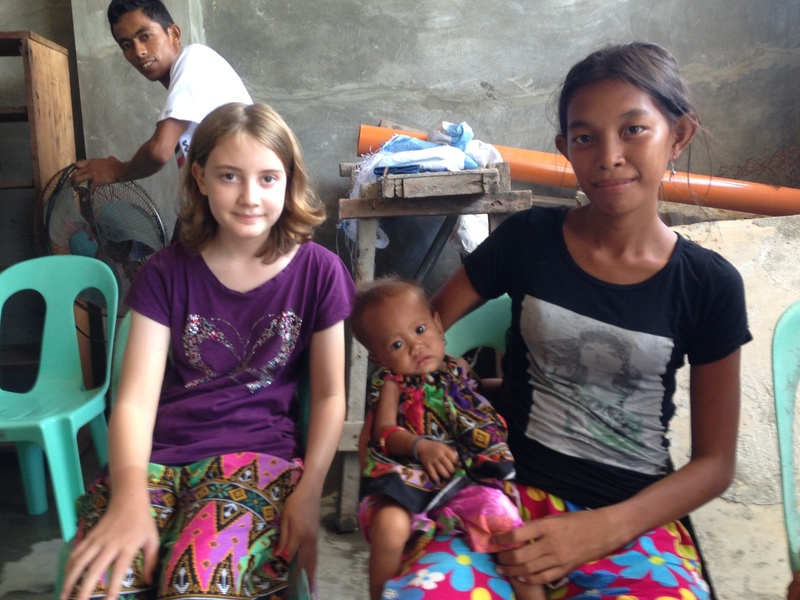 She had no sanitary supplies for after the birth and no diaper for the new baby. The only “baby clothes” she had for her new little one was a well-worn tank top, size 2T. One of the things I find the hardest is to try to give our senders and supporters a picture of the realities of life for the poor here in Davao when I am so far removed from those realities myself. When we lived in Ohio we rarely thought about the material wealth and prosperity that we enjoyed. It is impossible to live here and not be constantly aware that we are “rich Americans.” Within a mile of my home there are thousands of families living in makeshift one-room shanties. From my air-conditioned car I can see men taking bucket baths and women hand-washing their laundry by the side of the road at the water tap just outside their front doors. Some days it feels impossible for us to make a difference in the face of so much overwhelming need. On the one hand, it is no small thing that there is a place here for pregnant mothers to come where their physical and medical needs during childbirth will be met regardless of their ability to pay and where they will be treated with kindness and compassion and dignity. And yet as I placed a slippery, squirming baby boy on the chest of this mother who is younger than me but has the face of a woman many years older, as I sutured her tear, as I dressed her baby in a new, newborn-sized onesie from the donation box, as I prayed with her, everything that I could do seemed so very small. I cannot fathom what it would be like to have no money for diapers or sanitary supplies or clothes for my baby, to have nowhere to wash my clothes or my body out of the view of every passing car. I cannot imagine how people can live in such dire poverty and not be completely crushed. 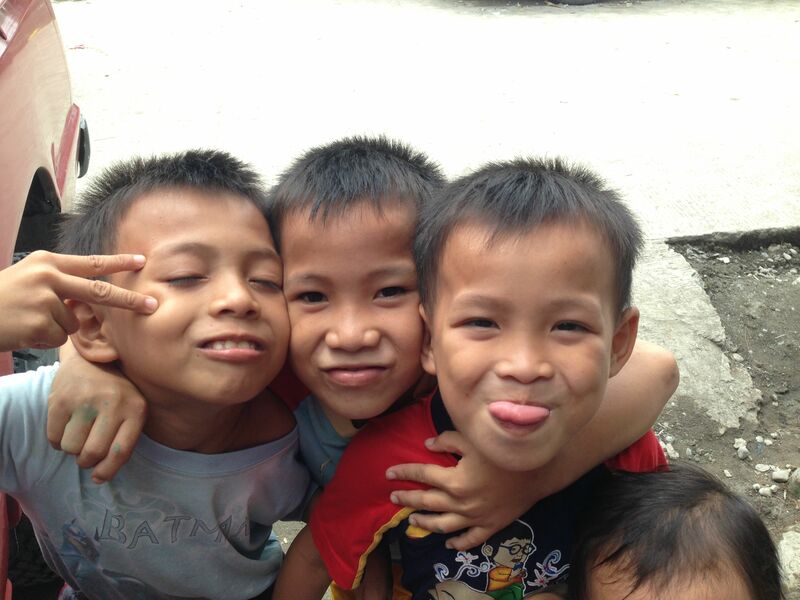 And yet Filipinos are a model of cheerfulness. They are always smiling, laughing, singing. The patients at the clinic thank us with heartfelt sincerity and (most humbling of all) bring us gifts. I am learning to pray that God would help me to become more like them: trusting less in what I have of “this world’s goods”, and more dependent on Him. I came across this blog post today which really put into perspective the budget we’ve been working on for our time in Davao. We’ve been basing our estimates for our cost of living there on guidelines from Newlife School. A Philippine peso is just a little over 2 cents. 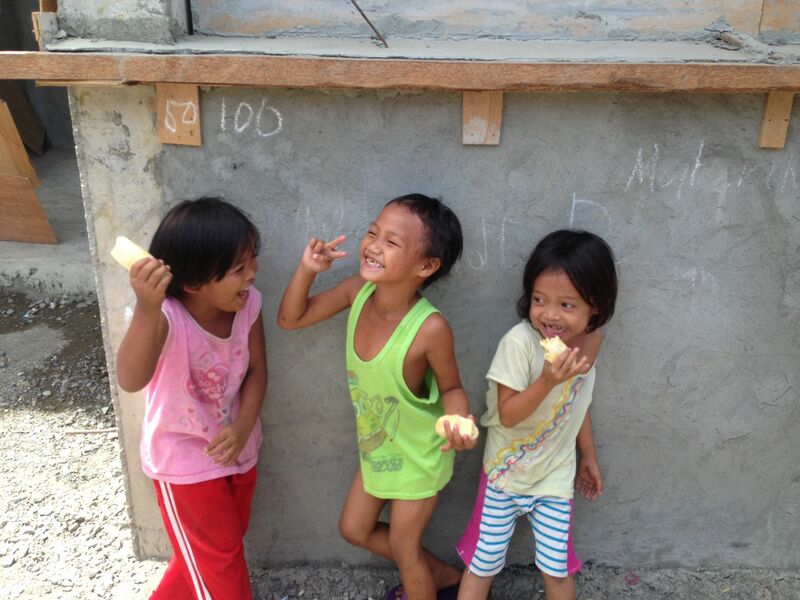 The “poverty threshold” for the Philippines was 16841 pesos per capita annually in 2009. In USD, that’s $384 per person per year, or just over a dollar a day. According to official statistics, over 20% of families and over 25% of the population is living in poverty. As clearly demonstrated in the post I linked above, most families whose incomes are technically above the poverty line do not allow for anything like “comfortable middle class lifestyle” in North America. Some things (particularly services and labor) are much, much less expensive in the Philippines than they are here. Many other things (gas, electricity, cheese) cost as much or more than they do in the States. Global poverty and income disparity are big, ugly problems without simple answers. Thinking about these questions can be overwhelming. Making a difference can seem impossible. But we as Christians living in North America need to grapple with these questions. I read the book of James and tremble. If a brother or sister is naked and destitute of daily food, and one of you says to them, “Depart in peace, be warmed and filled,” but you do not give them the things which are needed for the body, what does it profit? I want to live for God’s kingdom and value what He values, and I see that far too much of my life is wrapped up in my earthly possessions. Come now, you rich, weep and howl for your miseries that are coming upon you! Your riches are corrupted, and your garments are moth-eaten. Your gold and silver are corroded, and their corrosion will be a witness against you and will eat your flesh like fire. You have heaped up treasure in the last days. I am the rich American. I am the 1%. I do not imagine I am going to solve the big ugly problems, but at the least I can wrestle with them. He was sad at this word, and went away sorrowful, for he had great possessions. Are my possessions keeping me from following Jesus? Are they hindering my love for my neighbor? Better to be destitute. But “voluntary poverty” is not the same as involuntary poverty. Even if I were to “sell whatever I have and give to the poor,” I cannot give away my white skin, my American citizenship, the privelege I was born with that makes me part of the 1%. So, as I wrestle, a beginning: to try to use the gifts God has given me to try to serve and bless the poor, in the most direct and personal way that I know. I am a midwife, a word that means “with woman.” I sit with women during the most intense and vulnerable moments of their lives. I know how to look in their eyes and reassure them with that they will make it through. I know how to stop a hemorrhage and how to help a baby who does not breath. No matter how poor you are in the States, if you are having a baby, you can have skilled medical care when you give birth. 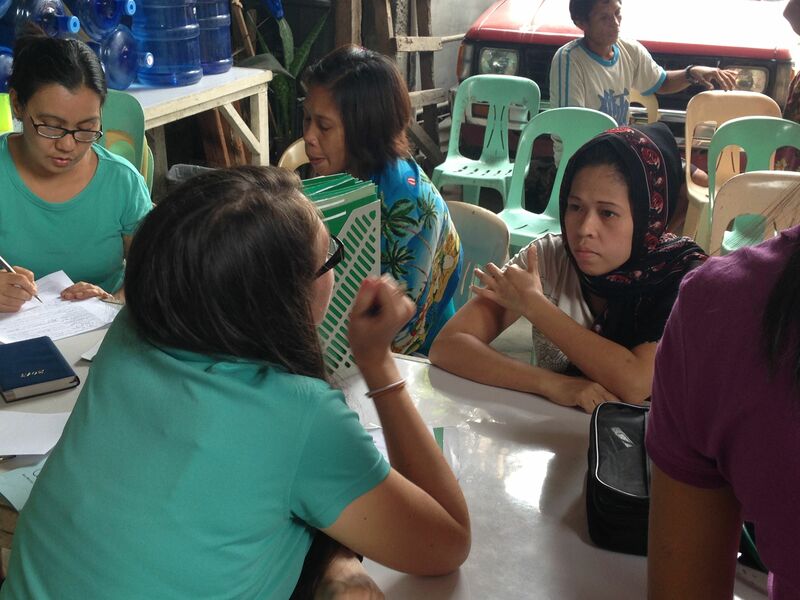 Yes, there are income disparities which are reflected in the provision of health care, but we have a safety net that simply does not exist in the Philippines. The clinic where I will be volunteering as a midwife provides free maternity care for the poor. The women who come to the clinic know they will be treated with respect, kindness, and compassion and will be able to give birth in a clean, safe, comfortable environment with skilled midwives and access to lifesaving medications should they or their baby encounter complications. There are many things I cannot change, but I can sit with a woman giving birth and be a calm and steady rock for her. I can know her name and her baby’s name and listen to her story. I can do my best to show her Christ’s love in the midst of her birth pains. I can make a beginning, each day, to try to open my heart and my life to what Christ wants to work in me.